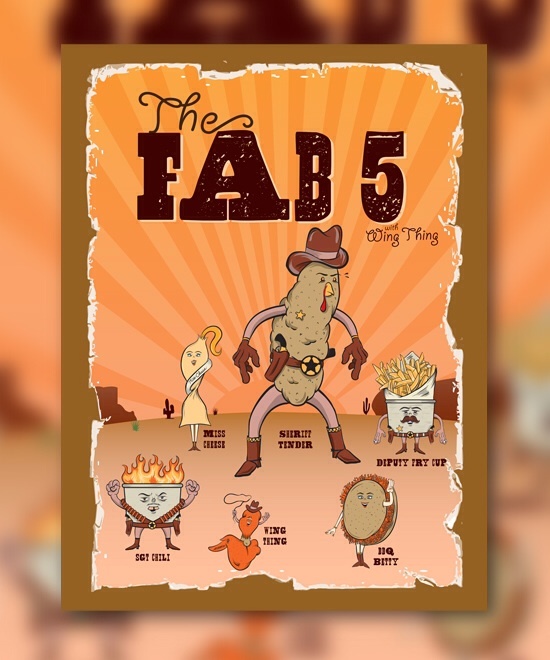 The latest project that I have finished was a collaborative poster design project for Aramark. Heather Godfrey of www.heatheryproject.com was responsible for the design and I was commissioned to create six cartoon characters for the poster. 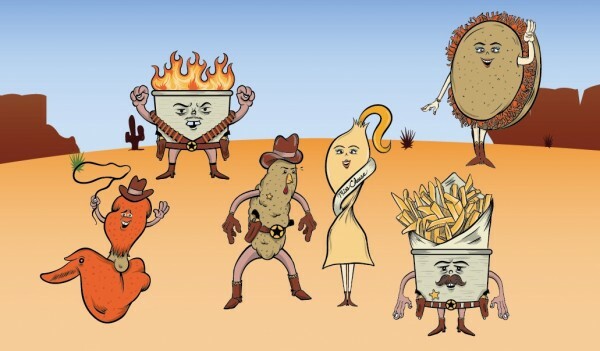 The characters were to be cowboy/western inspired versions of different food items that Aramark will be offering at Reliant Stadium in Texas.